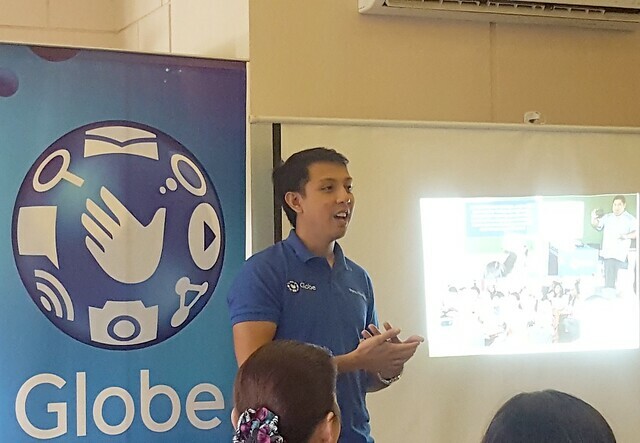 In celebration of the culmination of the National Teachers Month last September 2016, Globe launched the free eLibrary for the benefit of over 15 million public school students in the Philippines. 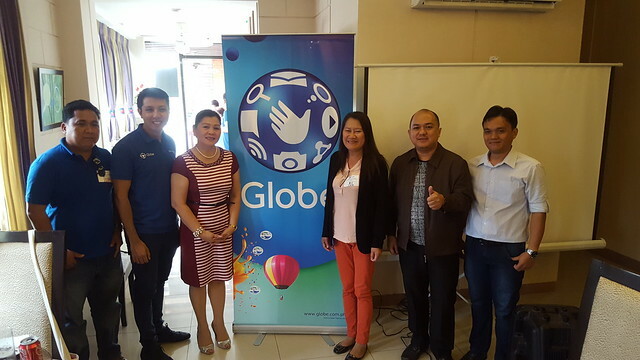 Representatives from the Department of Education (DepEd) and selected public schools were present during the launch in Davao with Globe Telecom Citizenship Department manager Miguel Bermundo (2nd from left). Department of Education (DepEd) representatives present during the launch in Davao with Miguel Bermundo of Globe. Miguel Bermundo of Globe spoke to the media and digital influencers in Davao City during the launch held at Cafe Demitasse last Sept.29. Over a thousand educational e-books appropriate for K-12 learning will be made available to over 15 million public elementary and high school students and some 500,000 public school teachers nationwide beginning September 30 as part of the Global Filipino School (GFS) program of leading telecommunications company Globe Telecom. 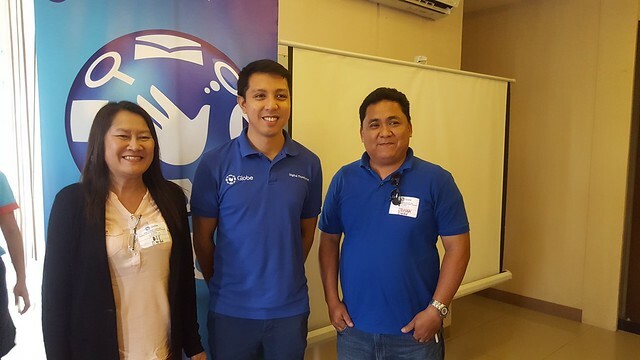 The GFS Library launch coincides with the National Teachers Day celebration of the Department of Education (DepEd) at Ateneo de Davao University in Davao City where Globe is one of the participants. “With the expansion of the Global Filipino Schools Program and awareness of the GFS Library around the country, public schools can more effectively make use of reading resources and promote digital learning to more students and teachers nationwide, particularly in schools where access to quality books is limited and usage of technology for learning is not maximized,” said Fernando Esguerra, Globe Director for Citizenship. 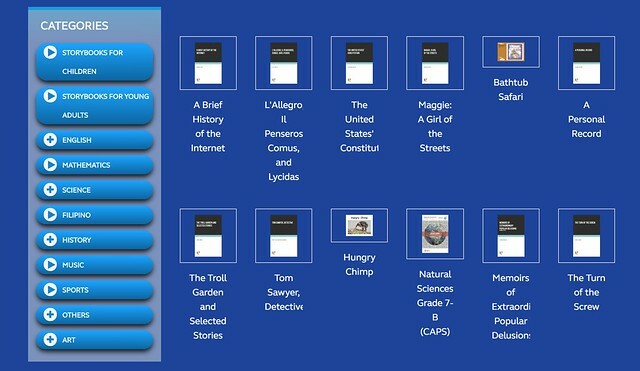 GFSLibrary.com is a web-based platform that provides free and quick access to digital story books for children and young adults as well as textbooks on core subjects such as Math, Science, English, Filipino, Music, Arts, among others. The ebooks may be opened via their desktop, laptop or mobile device using any basic ebook reader. The website is a component of the GFS program, a long-term Globe educational initiative that seeks to transform public schools into centers of Information and Communications Technology excellence and innovative teaching methods in order to set the stage for 21st Century Learning. 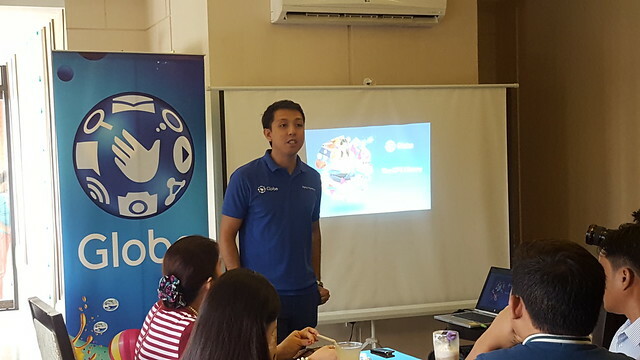 At the same time, Globe announces its partnership with schools in three Davao schools which will carry the GFS program. They are Catalunan Paqueno National High School in Davao City, Davao del Sur; Carmen National High School in Carmen, Davao del Norte; and Matti National High School in Digos City, Davao del Sur. This is in line with Globe Telecom’s ongoing activity to expand GFS to all 221 school divisions of the Department of Education (DepEd) nationwide within a five-year period. The schools are also given a Globe Digital Laboratory package containing netbooks/tablets, wifi devices, and a mobile cart with a built-in projector screen and workstation while teachers are trained on ICT education and project-based learning through the GFS Master Teachers Workshop and Online Coaching Course. All schools under GFS are intended to become teacher training hubs and training partners of the DepEd Division Offices in conducting teaching workshops for neighboring schools of each division. The workshops include lessons on Digital Thumbprint Program cyber wellness advocacy. 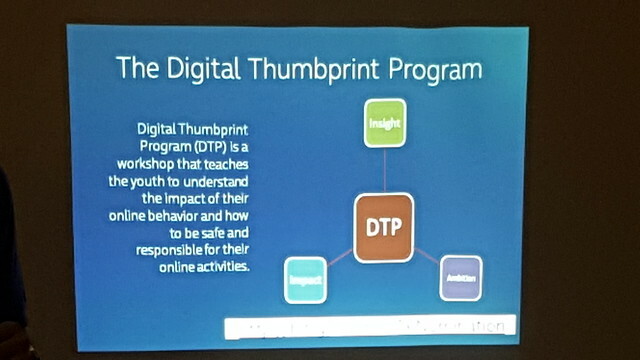 DTP offers three exciting modules designed to increase students’ knowledge of digital citizenship and cyber safety by taking a critical look at their online behavior and helping them develop insights into the influences of the online world and the choices they are making. 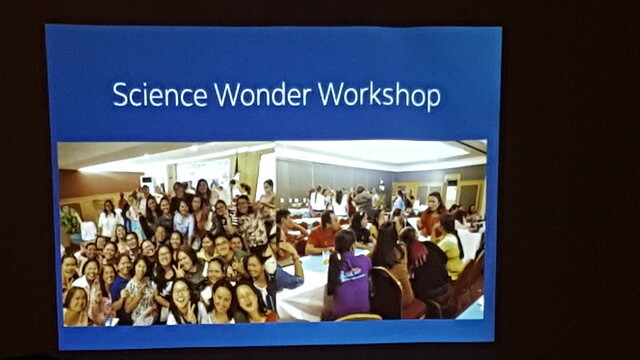 Likewise, teachers in select schools are also trained in science through Globe and Mind Museum’s Science Wonder Workshop that is guaranteed to make classroom learning more fun, interactive, and interesting. The one-day workshop emphasizes the essential role of student participation, especially through experiments in teaching science. The teachers get a chance to practice doing hands-on science demonstrations which can be performed with readily available materials. The activities are aided by The Mind Museum mobile app which contains guides to all experiments in the workshop as well as daily cool science thoughts to encourage curiosity. The app, which is open to all education technology platform, also gives teachers, students, and anyone interested in learning, access to over 250 museum exhibits anytime and anywhere. It deals with a wide array of topics and questions especially relevant to those who do not have the time, means, or opportunity to visit the museum. It is the first educational museum app in the country and promises a rich multimedia experience to anyone who downloads it.